I hope that you’ve all had a wonderful week and managed to escape Storm Ali unscathed? We’ve had so many branches come down near us, big ones too! Other than that there is not too much to report this week as the boys are continue to settle in to the school routine and look forward to special days and trips through the year. We are also starting to get a little excited about half term. It might be over a month away but we are going away this year which I don’t think we have done before. We can’t wait! 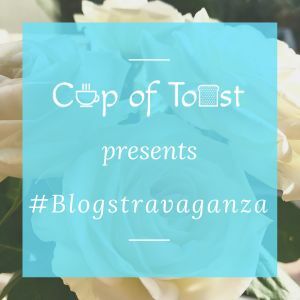 Thank you to those of you who are continuing to use the #Blogstravaganza hashtag on your Instagram posts too. I am now choosing my two monthly favourites and will be posting September’s at the end of the month so keep your eyes peeled for it next weekend. I also have a Facebook support group called #Blogstravaganza café. I do hope that bloggers and small business owners you will find your way over there for inspiration, support and more. Finally, please remember to follow the rules especially with regards to commenting on other posts and using the linky badge. It’s a really nice way to spread the linky love and to support each other. Thank you!